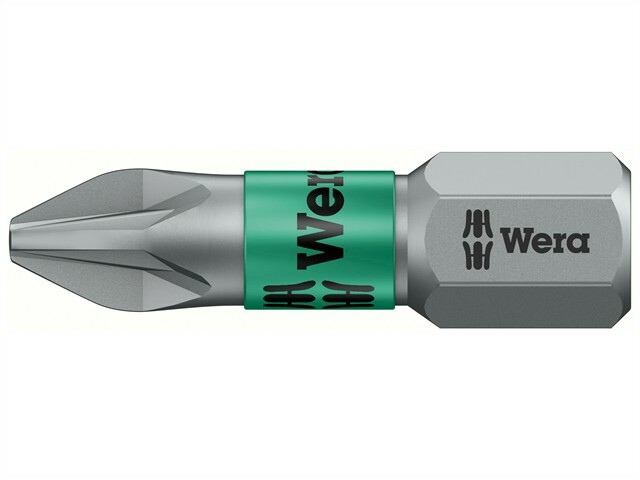 The Wera BTZ 25mm BiTorsion Extra Tough Pozi Bits are designed for universal use in drill/drivers. Thanks to a best-possible utilisation of the material properties and optimally designed geometry, BiTorsion bits will dramatically extend bit service life. Incorporates Wera's Toolfinder system, based on coloured band coding for screw profiles (black = Pozidriv; red = Phillips etc) with clear size markings.